(October 19, 2018, 6:50 pm) – The Florida Fish and Wildlife Conservation Commission’s test results on Tuesday, October 16 and Thursday, October 18 taken at Haulover and Golden Beach both show the levels of Karenia brevis found are not present/background (0-1,000 cells per liter). At this level, there are no anticipated health effects. Visit the FWC Daily Map to see the test results. (October 12, 2018, 5:25 pm) – The Florida Fish and Wildlife Conservation Commission’s Thursday test results taken at Haulover and Golden Beach both show the levels of Karenia brevis found are less than 1,000 cells/liter. This is extremely low and at this level, health effects are not expected. Visit the FWC Daily Map to see the test results. 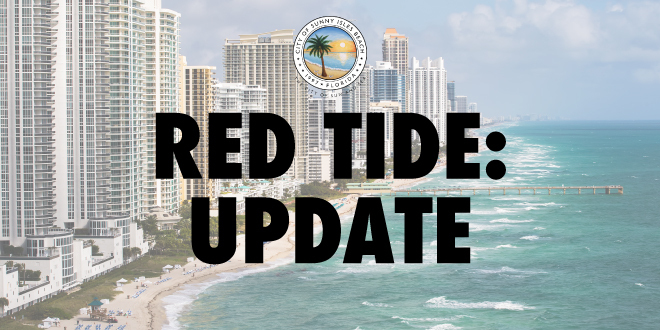 (October 12, 2018, 9:15 am) – Miami-Dade County Department of Regulatory and Economic Resources continues to test, monitor and manage the Red Tide concern countywide. Tests scheduled for Tuesday were delayed due to weather. Thursday test results will be available early next week. Visit the Florida Fish and Wildlife Conservation Commission’s Daily Map for test results. For the latest information in Sunny Isles Beach, follow us on social media or sign up for SIBAlert emergency notifications. (October 5, 2018) – The beach closure issued by Miami-Dade County has been lifted. County crews have been surveying the area and cleaning the beach as of early this morning. Miami-Dade County will continue to monitor the water at all of our public beaches, in cooperation with state agencies. Please bear in mind that the Florida Department of Health advises people with severe or chronic respiratory conditions, such as asthma, to avoid red tide areas. 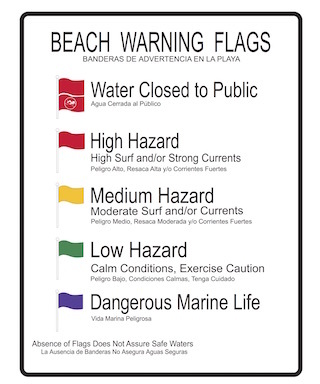 All beachgoers are advised to heed warnings at public beaches. There is the potential for experiencing side effects from the airborne algae blooms. Some people may experience respiratory irritation (coughing, sneezing, tearing and an itchy throat) when red tide is present. Airborne effects can reach as far as one mile inland and does not affect everyone the same. If you feel any symptoms, step inside or enter your car, close your windows and turn on your air conditioning. If symptoms persist, please seek medical attention. Be aware and be prepared. Fish kills may occur during red tide. Do not touch or remove dead fish. Fish kills can be reported by calling the Florida Fish and Wildlife Conservation Commission (FWC) at 1-800-636-0511. For detailed information about red tide, visit the Florida Fish and Wildlife Conservation Commission’s website at http://myfwc.com/. For the latest information, follow us on social media or sign up for SIBAlert emergency notifications. (October 4, 2018) – Due to the recently confirmed presence of red tide in Palm Beach County, Miami-Dade County, in collaboration with the Florida Fish and Wildlife Conservation Commission (FWC), collected water samples on Tuesday, October 2, at four locations off the coast of the County for testing. The County received results late Wednesday indicating that elevated levels of the algae linked to red tide have been detected in our area. Results for samples collected off Haulover Park were reported in the medium concentration range. In an abundance of caution, the beach in Sunny Isles Beach is CLOSED until further notice. The Newport Fishing Pier is also CLOSED until further notice. Miami-Dade County will continue to monitor this situation and will be coordinating with state officials on further testing and any updated instructions regarding the presence of red tide in our area. Red tides produce toxic chemicals that can affect marine organisms as well as humans. The Florida Department of Health advises people with severe or chronic respiratory conditions to avoid red tide areas. People in coastal areas can experience varying degrees of eye, nose, and throat irritation. Read more about red tide blooms. Read the Florida Fish and Wildlife Conservations Commission’s Red Tide Frequently Asked Questions. 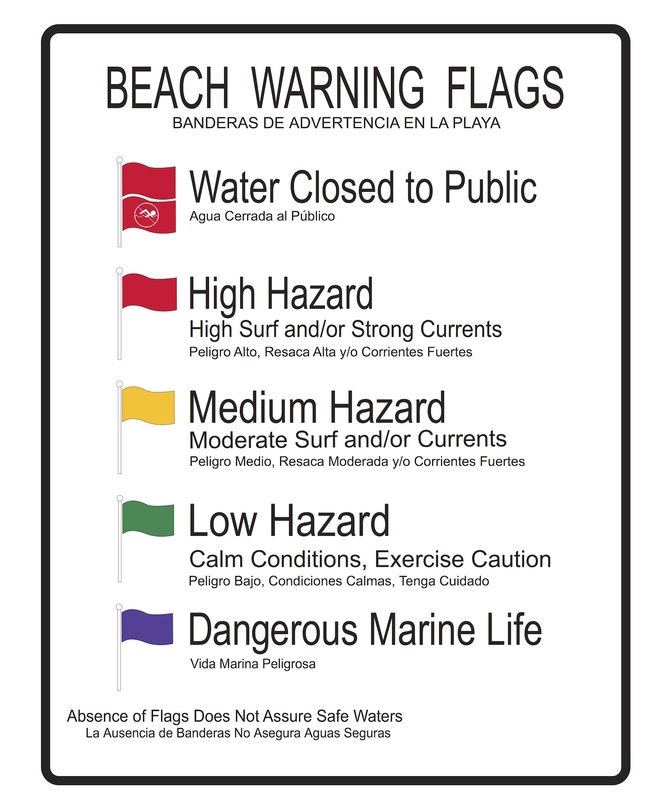 In addition, fish kills may occur during red tide. Fish kills can be reported by calling FWC’s Fish Kill Hotline at 800-636-0511 or online. The County is taking this proactive step to ensure our residents and visitors are not affected as sample in other areas are collected for state testing. We will continue to seek guidance from the state Fish and Wildlife Conservation Commission and take precautionary measures as warranted.